Hanging your own Shingle? Put your Best Foot Forward on Day-One. If you’re opening your own firm, one of your first concerns is getting business in the door. That requires more than just networking and legal skills. Your firm has to appear professional and polished – like an established law firm – on day-one. Your office may be nothing but chaos and moving boxes, but your website, letterhead, announcements and email signature can signal to the world that your firm is ready for business. To get there, however, you need a plan. To accommodate development and production timelines, you would ideally start your work 120 days before your scheduled opening, but, in a pinch, 90 days will do (although some elements of the plan will not be ready that first day). You can either hire an outside marketing expert to oversee and walk you through these steps, or you can assign them to a marketing-savvy staffer or colleague. While some new firms do choose to tackle the work on their own, most find that the benefit of an experienced legal marketer allows them to focus on those core aspects of their new firm that demand their attention: office space, staffing, and, of course, practicing law. The marketing expert can execute your strategy and manage the host of specialists needed to launch a firm: graphic designer, web designer, copywriter, photographer and printer. In many instances, confidentiality is a concern until the official open date. If that is the case, impress upon those working with you that they are to keep your work in strict confidence until the launch date. If you feel it necessary, you may ask them to sign a non-disclosure agreement. The following is a run-down of what needs to be done, starting four months before your firm launches and concluding with Opening Day. Name your firm: You can’t do anything until you have a name. One name is best, two is okay, but anything longer is not advisable. Within short order, the marketplace will create its own shortcut for your firm name, and that invariably ends up being one or two names. Define a marketing strategy: Gather your decision-makers in a room and discuss potential clients and your chief areas of expertise. How will you distinguish yourself in the marketplace? What’s your elevator speech? The right marketing partner can be a huge asset here and the decisions you make now will impact and even drive all that comes next. Develop a graphic identity: Consult a graphic designer to get a professional-looking graphic identity, which is everything from the typeface and punctuation used in your firm name to the colors on your website or even a logo or icon that can serve as visual shorthand for the firm. Your firm’s graphic identity will be your clients’ and potential clients’ first impression of your firm, so you want it to convey professionalism and competency right out of the gate. This will be one of your firm’s most important decisions, so don’t take it lightly. Approve your graphic identity: If you haven’t already, finalize your firm’s graphic identity. You’ll need this for everything from your website and business documents to your announcement cards and office signage. Secure your domain name: Secure your domain name: Before you make any plans with smithjones.com, you need to own that name. To secure the rights to it (as well as smithandjones.com and any other obvious permutations of your firm name) register it with a domain name registration company. You can see your various options by doing an Internet search for “domain name registration.” Keep it intuitive, keep it simple. Draft an outline for your website: Draft an outline for your website: What pages do you want on your firm’s website? Spend some time visiting other firms’ websites to see what you do and don’t like, both in content and graphically. Draw up an outline of your future site’s pages. Once you have an outline, hire a web designer who can create your site. An experienced web designer can be a great asset, helping you to create a framework that can positively impact your online presence. Create your website content: Each section of your website will need text, so a strong copywriter is a great resource to engage. From the Firm Overview to Attorney Bios, to Practice Areas, an expert will be able to tell your story in an engaging manner and ensure that the site is search engine-friendly, giving you greater online exposure and impact. Write your “letter to clients” informing them of your move: Your current firm’s guidelines and culture, as well as State Bar ethics rules, will be your guide. Schedule your photo shoot: You will want professional photos of every lawyer at your firm for use in press releases, on your website, and in future marketing pieces. Ensure your firm owns the images and can use them in any and all marketing materials. Have anyone who is getting their photo done make an appointment for a haircut about a week before the shoot. Wardrobe and location are also important considerations. Later, cropping and retouching will need to be considered. Given the importance and impact of photography, it pays to have an experienced marketing professional managing this step for you. Determine your business document needs and work with your graphic designer to create these documents for you: You’ll need letterhead, electronic templates, envelopes, announcement cards, business cards, fax cover sheet templates, memo templates, PowerPoint templates, note cards, mailing labels, and perhaps even more. A unified, professional look, anchored in the graphic identity that you have already created, is key to establishing legitimacy and credibility when you launch. Compile your contacts list: This is the list of everyone you want to inform, electronically and/or by mailed announcement card, that you’ve started your firm. Organize your list into groups: law school classmates, colleagues, family, friends, neighbors, and, when appropriate, client. You may want to alter the message somewhat for different audiences. It doesn’t take long to create a properly formatted, complete, accurate list; programs like Outlook will let you export a list in a few easy steps, so start working on it now. Create it in a spreadsheet database format like Excel so it can be exported into e-mail or direct mail software packages. Release website outline and text to designer: Your web designer will want an outline and text that is as close to final as possible, but text edits should be easy to make once the site is created. As with most marketing initiatives, having a subject matter expert involved can make a world of difference in both expense and the impact of the finished site. Purchase and create announcement ads in business and professional publications: Certain marketing vehicles require State Bar review, so allow time to explore the guidelines and for submission. Create office signage: If you don’t have a vendor, ask your building’s management company. Chances are they can refer you to a trusted vendor. Select a printer: Get bids from 2-3 printers for your office documents, and choose the one that best suits your needs. Send documents to your printer: Release the art files for your office documents to the printer you selected. If it’s not being distributed electronically, send the Letter to Clients to your printer as well. Write a press release: Assemble lists of media outlets and press release services to send it to on your firm’s first day of business or shortly before. This is another area where an experienced marketing pro can be of assistance as distribution via wire service or syndicator can optimize exposure. Test your website: Before it goes live, you’ll want to thoroughly test your website to ensure its functionality and to verify all site content. Send your firm announcements: Whether they’re printed, electronic, or a combination of the two, make sure everyone on your list is notified. Hit the submit button: Send your press release, and take your website live. Once your website is visible to the public, it’s time to submit it to State Bar Ad Review. Set up social media pages: Consider a LinkedIn Company Page for the firm as well as updates to individual attorney pages to reflect the new firm status. Create a Google My Business account to make sure the new firm, and you, are findable on the web. Reach out to key contacts personally: Make calls, send e-mails and don’t forget to leverage the growing power of social media by updating your social networks via profile information on LinkedIn, Facebook and Twitter. Crack open that box of new business cards. Once your firm is open and you’ve worked out those new-firm kinks, you can begin thinking about developing a firm brochure and holding an Open House or other celebration. In the meantime, your firm’s website will be your primary marketing vehicle. Launching a new law firm is a colossal task that can be financially, physically and emotionally overwhelming. 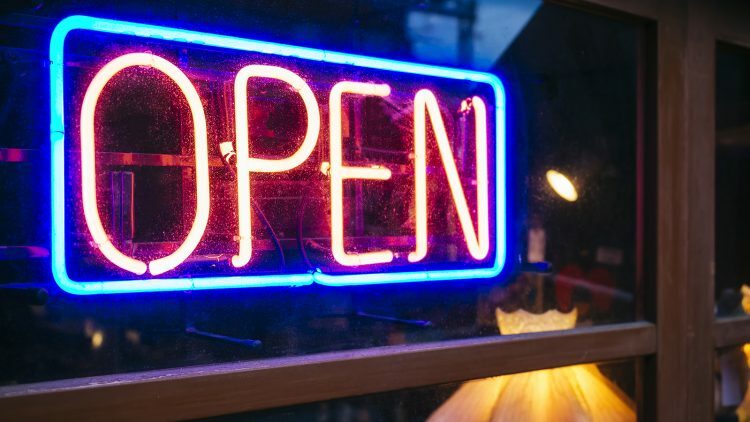 Having a professional look and feel on Opening Day, however, will signal to clients and potential clients that your firm is ready for anything – in particular, their business. If you’re intrigued or even overwhelmed by what you’ve read here, consider contacting Androvett Legal Media & Marketing. We can set you up for success from day one. Subscribe to receive Insights in your inbox!